Properties in Limay average 4.8 out of 5 stars. Property 1: Apartment in a house. Seasonal cottage in a village .The quiet green countryside. Property 6: Seasonal cottage in a village .The quiet green countryside. 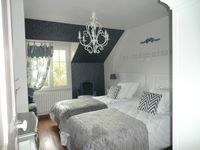 Property 7: The lodging the Old Fournil is an old building of 1850 entirely renovated. Independent apartment 35m2 village center (78). Property 12: Independent apartment 35m2 village center (78). Property 14: House downtown, calm, warm, with small private garden. 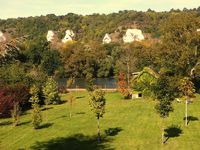 Property 46: House on the banks of the Seine between Vétheuil and Giverny! Great place to stay in Giverny!!!! Overall great experience! The location was perfect (close to the village and Monet&rsquo;s house), Valerie and her family were super friendly and welcoming, and the place is perfect and full of charm (spacious, clean, beautifully decorated and well stocked). I would highly recommend it to anyone! Merci! !